For some of you, getting in the shower and giving your hair a good wash might be the highlight of your day, especially after a long day’s grind at work. On the contrary, some of you might detest the process of hair cleansing and view it as another mundane chore. Either way, if you are a hygiene-conscious person, it is likely that you regularly wash your hair and try to keep it squeaky clean. You wash it the best way you know, without giving the actual process a second thought. It is just a simple matter of a quick scrubbing and rinsing – a real no-brainer, right? Shampooing not only beautifies your hair but also performs the critical task of cleaning the dirt, excess oil, sweat, grime and styling-product residue off your scalp. If you are not careful in how you apply the shampoo and the way you treat your hair during its application, it can leave your hair dirty and damaged. Washing your hair the incorrect way unknowingly harms your tender strands, scalp and hair follicles. 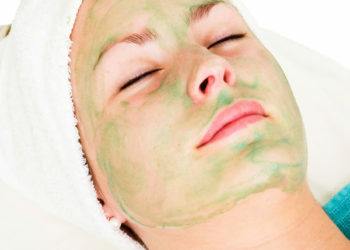 Moreover, a dirty head that has not been properly washed is a high-risk breeding ground for a variety of conditions and diseases, such as dandruff, dermatitis and eczema. Your hair deserves the same care and attention that you give the skin on your face, protecting it from harm and being gentle with it. Here is the correct way to wash your hair. Give your hair a good combing before getting into the shower. This helps detangle any knots and prevents hair breakage. It also helps begin removing styling-product residue. Whether your hair is dry, oily or dandruff-infested, make sure the shampoo you are using suits your hair type. You can also use a clarifying shampoo once a month to get rid of product residue from your scalp. Thoroughly dampen your hair with lukewarm water. Do NOT use hot water. Hot water dries out your scalp, triggering the oil glands to compensate by over-producing oil, ultimately leaving your scalp greasy. Hot water also runs the risk of scalding your scalp. Put a dollop-sized portion of shampoo in your palm (the size of a quarter). This amount is standard for short to medium hair. You can increase the amount according to the length of your hair. Add a little water to the shampoo to lather it up, and apply it evenly and gently throughout your locks. Start from the bottom and work your way up to the roots. Next, use your fingers to massage the shampoo onto your scalp with gentle, circular motions. Begin at the nape of your neck and work your way up from the back of your head until you reach the crown. Take 30 to 60 seconds to perform this action. After reaching the crown, you may apply a little more shampoo (if needed) before massaging the top of your head all the way down to the nape again. You may massage up and down your entire head for 1 to 2 minutes. Make sure you are not pulling your hair up as you massage your way toward the crown and clumping your hair on the top of your head, as this may tangle it and obstruct your fingers from properly reaching your scalp. Your scalp is the area that requires the most attention. Next, massage along the hairline at the top of your ears and move down in a circular motion behind your ears. This is an area often neglected when quickly washing your hair and is a breeding ground for fungal infections. Begin the rinsing process by running warm water through your hair, separating it as you go to allow the water to flow through each section thoroughly. Keep your head in motion to allow the water to reach each strand. Lower your head and twist it from side to side to allow the water to rinse each side as well as the back of your head thoroughly. Scrub the area behind your ears. Lift your hair up to allow water to run down along the hairline at the nape of your neck. Gently wring out any excess water from your hair with your hands. Put a dollop-sized portion of conditioner in your hand and rub your palms together to lather it up. Bring your hair to the front and conscientiously begin coating the ends/tips of your hair until they are all covered. Next, you may begin coating your strands up to the mid length of your hair. Do NOT massage conditioner onto your scalp and roots, as it could create a bulky residue, trigger the oil glands, block the hair follicles and obstruct hair growth. Leave the conditioner on for 2 to 3 minutes (according to the instructions on the bottle). Rinse it off using cool water. Do NOT scrub your hair. Instead, use wringing motions to rinse the product out. The cool water will seal the moisture in and keep your hair supple and soft. The thick fibers of a regular towel can break wet hair and make it frizzy. Instead, use a microfiber towel to dry your hair or wrap an old, cotton T-shirt around your hair for 10 minutes. Thankz for d info. .. 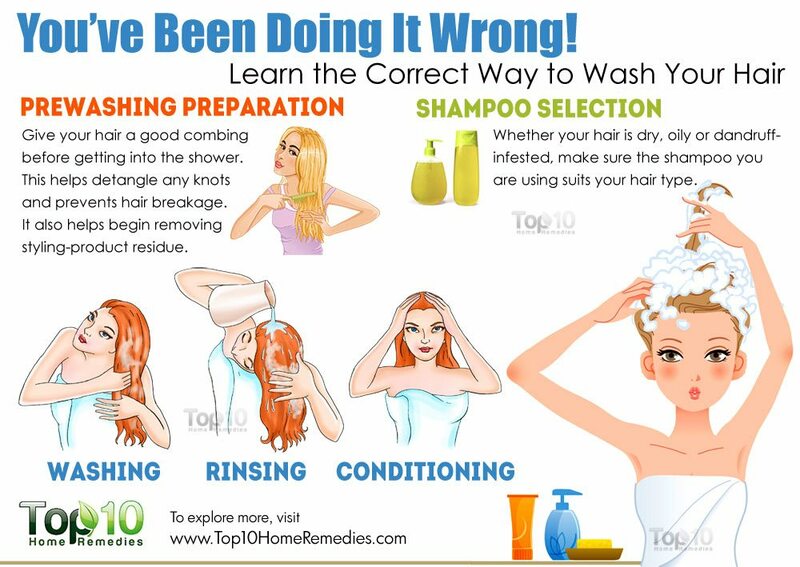 I had come to know about the correct way of washing my hair ? Of course there’s nothing here about shampooing. I understand what’s written here is true. I used to be married to a beautician, my sister is one and 75% of the women I dated were all beauticians and basically everything in this article is what I was told to do by these women. This article is true (But you might want to include the shampooing part). MY hair dosen’t need to be combed that much thank to this entire website! I had come to know how to wash my hair correctly. Thank you ! I knew how to wash my hair correctly after your advices. Thank you ! Also: if possible, use rainwater to wash and rinse your hair. The results are spectacular.